For seven-year-old Raami, the shattering end of childhood begins with the footsteps of her father returning home in the early dawn hours bringing details of the civil war that has overwhelmed the streets of Phnom Penh, Cambodia's capital. Soon the family's world of carefully guarded royal privilege is swept up in the chaos of revolution and forced exodus. Over the next four years, Raami clings to the only remaining vestige of her childhood--the mythical legends and poems told to her by her father--and fights for her improbable survival. 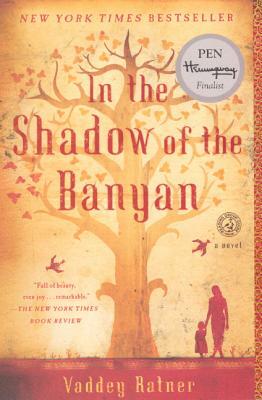 Displaying the author's extraordinary gift for language, In the Shadow of the Banyan is a brilliantly wrought tale of hope and transcendence.